BMW Motorrad dropped the veil on the 2019 S 1000 RR at EICMA 2018. After its world debut, it was only a matter of time before BMW announced its arrival in India. And now they sort of have. You see, BMW Motorrad India has officially released a teaser of the new S 1000 RR on their Instagram handle, confirming that their brand new litre-class heavyweight will be here soon! 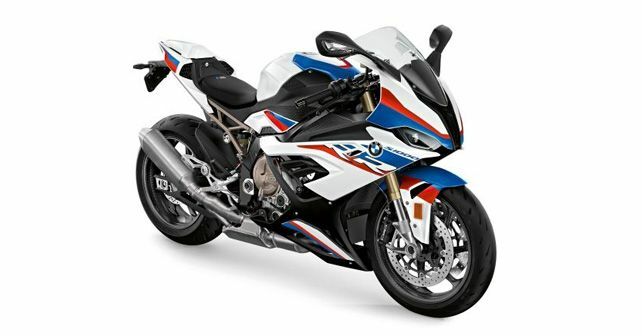 The 2019 BMW S 1000 RR is the third-generation model of the company’s flagship sports bike. In its new iteration, the S 1000 RR has received a raft of updates. First up, the engine. It’s still a 999cc, inline-four cylinder motor, but it gets hollow titanium valves. The engine also features BMWShiftCam or variable valve technology, and it’s lighter by around 4 kilos. There’s also a new exhaust that brings weight savings of around 1.4kg. All of these combined result in a gain of 8bhp, meaning the new S 1000 RR produces a whopping 204bhp of power output. The torque is unchanged at 113Nm. The chassis has also been lightened and is stiffer. The wheelbase is longer and the motorcycle has a steeper rake, while the overall weight of the new S 1000 RR is down by 11kg to 197kg. The motorcycle will also be offered with the 'M’ Pack, which adds carbon fibre wheels, light battery, etc., to further save the weight by around 3.5kg. The electronic suite includes semi-active electronic suspension, bi-directional quick-shifter and four riding modes - “Rain”, “Road”, “Dynamic” and “Race” as standard. There’s an optional three-way programmable "Pro Mode" as well. The new S 1000 RR also comes with a 6.5-inch TFT colour display and LED headlamps. And yes the old bike’s asymmetrical twin-headlamp setup is junked in favour of a sleek but conventional look. The BMW S 1000 RR is going to be priced between Rs 25 lakh to Rs 30 lakh (ex-showroom) and will compete against the likes of the Ducati Panigale V4, Aprilia RSV4, Yamaha R1, et al.